Edition: From the numbered edition of 50 (there were also about 20 artist’s proofs); printed by Arnéra and published by Galerie Louise Leiris in 1960. 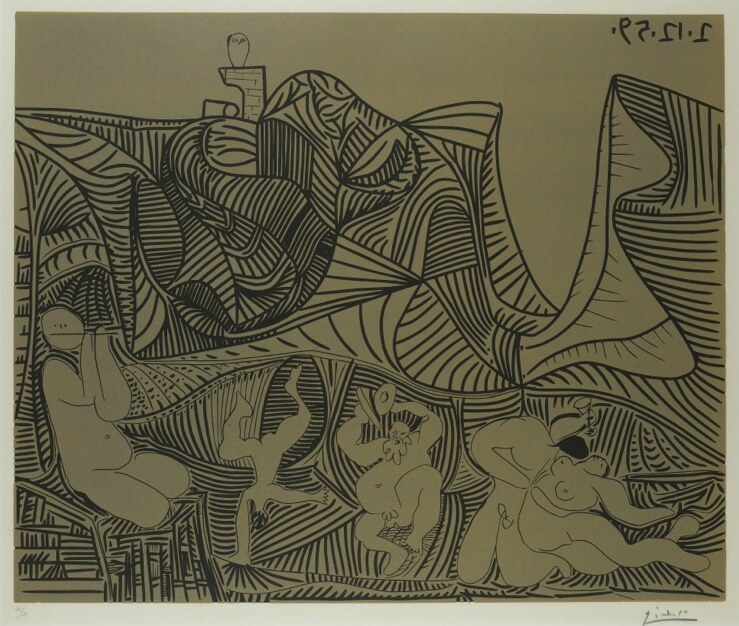 This moving, animated color linocut is a fine examplar of Picasso’s celebration of life. The colliding groups of parallel lines is an inventive artifice, creating a backdrop of a convulsive mountainscape of which these revelers, lost in the moment, are apparently heedless.